Beautiful songs, gentle acoustic string sounds, informative storytelling and an attentive audience are the desired attributes for any singer-songwriter gig. If you can add a backdrop of the fertile creative landscape of life in the Deep South, then you are well and truly on the way to musical utopia. These are certainly demanding standards but Mississippi-born artist Caroline Herring went a long way to fulfilling them on her return to a town where she has developed a good recent rapport. Fresh from a couple of outstanding sets at last year’s Shrewsbury Folk Festival, the organisers arranged a follow up visit for Caroline to the town and a near sell out Hive audience were immensely enthralled by the sheer talent on display during the evening. Caroline’s depth of understanding and passion for the issues she tackles is mesmerising and when coupled with her vocals and sound that straddle the boundaries between folk, country and a touch of home state blues, the talent oozes so freely from the stage. A collaboration that meant so much to Caroline’s heart was her involvement in the Cecil Sharp Project where she had the opportunity to explore and work with some of the UK’s premier folk artists. To highlight her involvement, she has twinned the songs she was involved with and shortly into the evening’s second set those fortunate enough to be present were served with this offering. 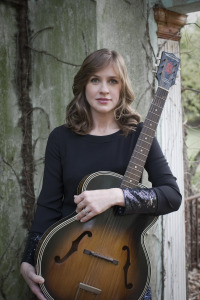 ‘Meadows of Dan’, a co-write with Kathryn Roberts, was followed by ‘Black Mountain Lullaby’ a tale remembering a victim of an Appalachian mountain top removal tragedy. This latter song was featured on Caroline’s most recent album CAMILLA and unsurprisingly a majority of its tracks were performed during the evening. The highlights from this album included the title song which opened the evening, an account of attending Obama’s first inauguration ‘Maiden Voyage’, the accapella delivered ‘Travelling Shoes’ and a tribute to the Civil Rights Freedom Riders ‘White Dress’. Such was the detailed introduction to these songs that you could almost write an individual piece on each one. Also delivered from this album was a song inspired by a plane journey ‘Joy Never Ends’ that merges into Caroline’s desire to sample the Scottish standard ‘Auld Lang Syne’ as well as the more rootsy 'Fireflies'. Over the last decade, Caroline has recorded a wealth of fine material and her set included delving back to a 2001 release Twilight and songs titled ‘Wise Woman’and 'Mississippi Snow'. 2009’s GOLDEN APPLES OF THE SUN also contributed a handful of selections including the melodic ‘See See Rider’, an ode to American painter Walter Inglis Anderson ‘Tales of the Islander’ and a personal tribute to her grandmother Eleanor ‘Abuelita’. As well as being an outstanding songwriter, Caroline does not shy away from celebrating the work of others. Two covers, previously recorded on her albums, included in the set were the award winning eighties classic ‘True Colours’ and a cracking Kate Wolf song that closed the evening ‘Here in California’. However the overall highlight of the evening was the pre-encore ‘Song for Fay’, a beautiful track from the LANTANA album inspired by the experiences of Larry Brown. While Caroline spends so much time extolling the virtues of genuine southern folklore, she is vastly developing into a literary treasure herself. The tales, stage presence and interpretation of the rich history of her roots are totally captivating. 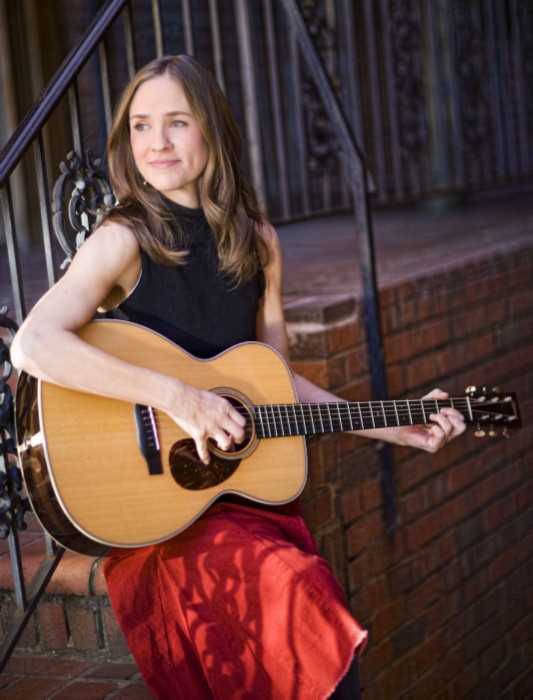 In fact you can sum up Caroline Herring in a single short statement – one woman, one guitar and a million words.